What is the best 3D printer available on Amazon? Buying things on Amazon can be comforting for some people compared to ordering a product from an unknown and/or suspicious website, especially in the 3D printer price range of a few hundred dollars (or a couple thousand). Indeed, with over 100 3D printer brands and an even greater number of 3D printers available on Amazon, it can be hard to find just the right one. There is a more detailed explanation of these criteria in the methodology section of this article. This table shows our list of the 15 best 3D printers available on Amazon, ranked according to metascores. It is possible to rank by price or build volume by clicking on that specific column title. 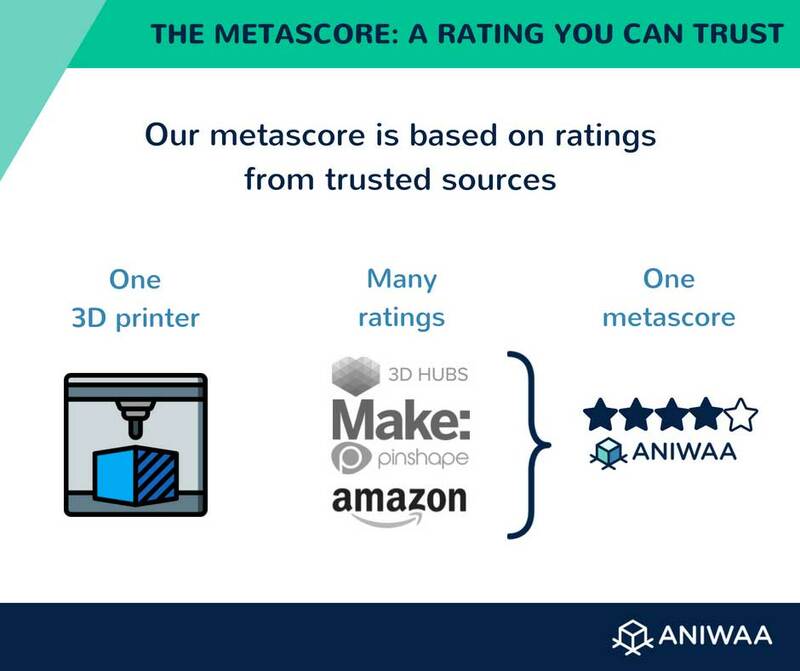 *Metascore: result of indexed review scores from four reliable sources (Amazon, 3D Hubs, Pinshape, Make:). **Awards: some 3D printers have won awards from 3D Hubs or Make:. In this table, they have been represented with trophy emojis. Award names are detailed in individual product pages. 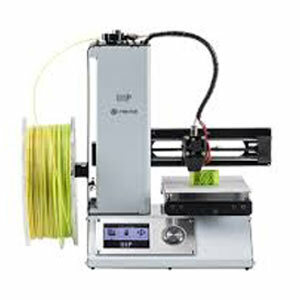 This list is non-extensive, there are many other 3D printers on the market. We recommend doing your own, additional research before making any decisions. Tip: if you would like to get a full overview of the 3D printer market, you can use our 3D printer comparison engine. Our database includes over one thousand 3D printer models. We also have an article on the best 3D printers under $300 and a list of the best 3D printers between $300 and $1,000. The LulzBot TAZ 6 is one of the best 3D printers available on Amazon. Besides the fact that all of the 3D printers in this article are available on Amazon, we have taken into account other factors to try and make our list the most reliable as possible. As usual, we use our metascore that is calculated from ratings that are indexed from four different sources (Amazon, 3D Hubs, Pinshape and Make:). All of the 3D printers in this list have ratings not only from Amazon but also from at least one other source. Their metascore must be 4.0/5 or above. Note: The Anet A8 has a metascore originating only from Amazon ratings, but we chose to include it in this ranking because of the overwhelming amount of positive reviews from the YouTube 3D printing community (3D Maker Noob, Gadget Friendly, Tulio Laanen, etc.). Similar to the reddit YouTube test, we only included 3D printers that have been reviewed by users on YouTube. This gives a more tangible view of the 3D printer and YouTubers often give valuable tips and information. The Anet A8, a 3D printer kit based on the Prusa i3, delivers fast and accurate prints without being too noisy. This 3D printer’s assembly can take for over five hours to complete but the included instructions are clear and easy to follow. The spool holder and nozzle-cooling mechanism come up regularly as problematic but they can simply be updated with a few 3D printed pieces. The Anet A8 only has ratings on Amazon, but it has many users, extensive YouTube reviews and general feedback is pretty good. It is number one on our list of the best 3D printers under $300. 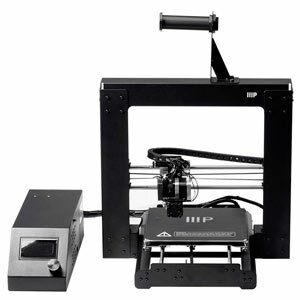 The SeeMeCNC Rostock MAX v3 is a delta-type 3D printer. Delta-type 3D printers offer quicker 3D prints than most basic 3D printers and deliver accurate results.The Rostock MAX v3 has been named best budget 3D printer by 3D Hubs, and its previous version the MAX v2 was also award-winning. This 3D printer features a heated bed and a heated extruder to allow for 3D printing in a variety of thermoplastic material. The Rostock MAX v3 is also available pre-assembled at a higher price. SeeMeCNC is home to a very large and active user community. Fulls specs and ratings: SeeMeCNC Rostock MAX v3 ? 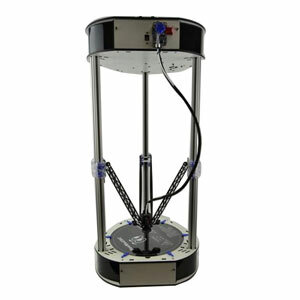 The Delta Kossel DIY by FLSUN is based on the Kossel model, part of the RepRap project (like the Prusa i3 model). Being open source, this 3D printer can be upgraded or tweaked at will. The FLSUN Delta Kossel DIY bears an aluminum frame making it a stable 3D printer (compared to plastic-framed ones). FLSUN replies to many user questions, conveying decent customer service. It also appears on our list of the best 3D printers under $300. The MakerGear M2 is a reliable workhorse that has received excellent feedback over the last few years by its users, and it has received awards from 3D Hubs. This 3D printer features a heated print bed and produces high-quality 3D prints, but it is a bit noisy. The MakerGear M2’s metal chassis makes it a sturdy, durable 3D printing machine. The M3 is the new version of this 3D printer. MakerGear is known to offer decent after-sales customer care. Full specs and ratings: MakerGear M2 ? ? 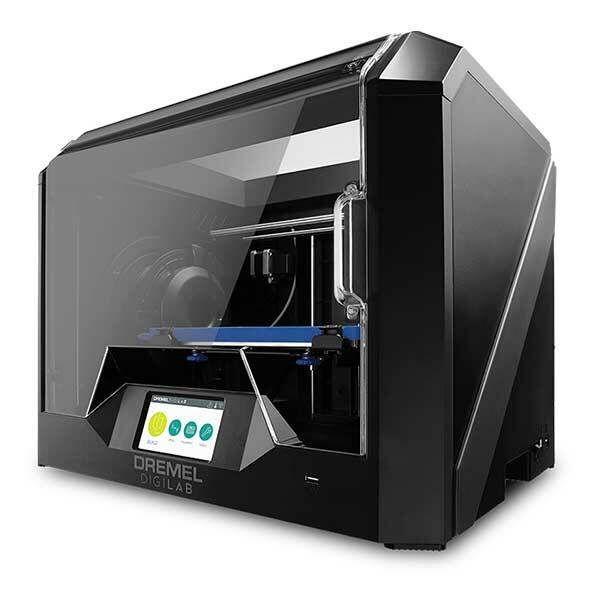 The Dremel DigiLab 3D45 is designed for use in educational environments, from kindergarten to high school. This 3D printer’s removable build plate makes it easy to remove 3D printed creations, and the extruder has been designed to prevent any filament clogs. Dremel’s proprietary PLA filament is advertised as non-toxic as it is plant-based. The Idea Builder 3D45 features a touchscreen and 4GB of integrated storage. The Craft Unique CraftBot Plus won the 3D Hubs award for best plug and play 3D printer of 2017. This 3D printer provides stability and durability with its all-steel frame. The CraftBot Plus features a heated bed, making it possible to 3D print ABS and HIPS in addition to classic PLA. 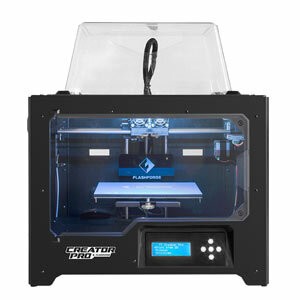 Craft Unique, the manufacturer, delivers this 3D printer in a variety of colors such as black, pink, blue, green and more. Full specs and ratings: Craft Unique CraftBot Plus ? The FlashForge Finder is a friendly desktop 3D printer designed for educational purposes, making it a suitable choice for children. 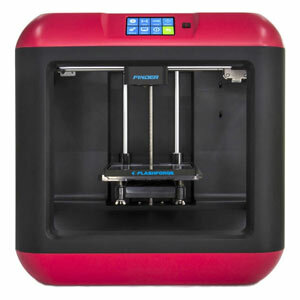 The Finder features automatic bed leveling, a color touch screen, and a detachable print bed for easy 3D print removal. This 3D printer’s build plate is not heated, however, limiting 3D printing material use to PLA. Users enjoy FlashForge’s reactive after-sales customer service. 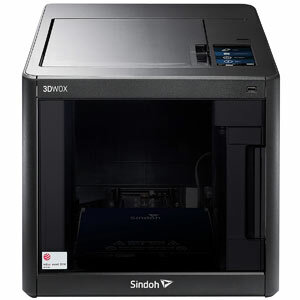 The Sindoh 3DWOX DP200 features a closed frame and heated aluminum bed for a controlled temperature environment, optimizing 3D print quality and allowing the use of PLA, ABS and other plastic filaments. This 3D printer features fully automated filament loading. Its assisted bed leveling and 5” touch screen help provide an easy and fluid experience. Users praise this 3D printer’s reliabilty. 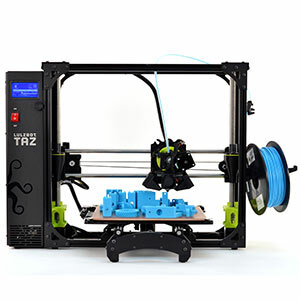 The LulzBot TAZ 6, an open source 3D printer, has earned awards from 3D Hubs and Make:. This 3D printer is considered a workhorse and offers great precision for its range, and it is capable of 3D printing a wide variety of materials thanks to its hotend extruder. The TAZ 6 features automatic bed levelling, dual cooling fans and an aluminum frame. LulzBot offers a one-year warranty, including tech support. Full specs and ratings: LulzBot TAZ 6 ? ? 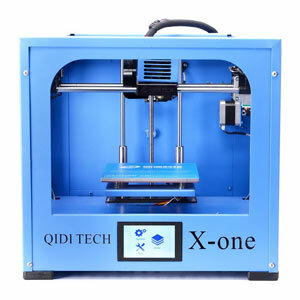 The X-ONE by Qidi Technology is a basic, entry-level 3D printer. The Qidi Technology X-ONE provides very decent stability with its double-layer metal frame, and a friendly user interface on its 3,5” touch screen. Users often point out difficulties when it comes to loading the filament, but are satisfied with Qidi Technology customer support. Overall, this 3D printer offers a good price-to-performance ratio. The FlashForge Dreamer is a pre-assembled desktop 3D printer featuring double extruders to allow for multi-material 3D printing. The Dreamer’s plastic closed frame is ideal for printing ABS materials since it keeps the heat inside, but it is also possible to remove the roof or open the front window for PLA 3D printing. 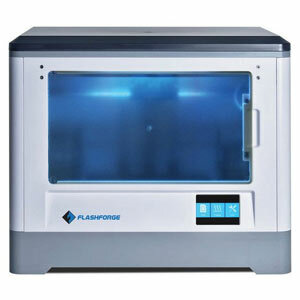 FlashForge provides responsive after-sales customer service according to its users. The LulzBot Mini has been chosen by 3D Hubs as one of the best plug-n-play options on the market, two years in a row. 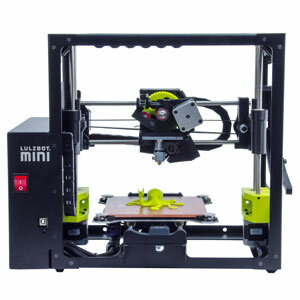 The LulzBot Mini features a heated print bed and a hotend extruder, offering a number of possibilities for 3D printing material. As this 3D printer’s name indicates, the Mini provides a relatively small build volume. This 3D printer’s reliability and ease of use make it a popular choice for entry-level users as well as for advanced makers. Full specs and ratings: LulzBot Mini ? ? This sturdy metal-framed 3D printer provides a closed environment for heated 3D printing. The FlashForge Creator Pro offers consistent 3D printing results; it is a reliable 3D printer made to last. The Creator Pro is easy to repair and maintain, especially with help from its large community of users. Its dual extruder allows for multi-material 3D printing. This 3D printer has won the 2017 3D Hubs Workhorse award, and the 2016 3D Hubs Enthusiast award. Full specs and ratings: FlashForge Creator Pro ? ? The Monoprice MP Select Mini is a best-seller on Amazon and its many users have grown into a big, active online community. This 3D printer provides a rather small build size, but it features a heated bed for higher quality prints. Add-ons are available to enhance the MP Select Mini’s performance. 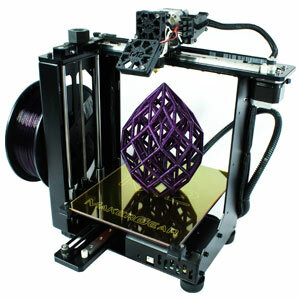 Its popularity allowed for a second version of this 3D printer to be developed, the Monoprice MP Select Mini V2. This 3D printer is not a DIY kit, but will still require minimum, easy assembling. Monoprice offers a microSD card with preloaded models that are ready to be 3D printed, to get started as quickly as possible. The Maker Select offers a very decent price-to-performance ratio, although upgrades are available online to get even more quality out of its 3D prints. What to look for when buying an entry-level 3D printer? Here are some things to pay attention to before buying a 3D printer on Amazon. Nb. 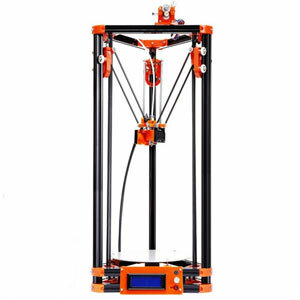 : This information is valid mostly for extrusion-type 3D printers, which are the only kind included in our list of 3D printers available on Amazon. Product ratings are one thing to consider when purchasing on Amazon, but so are seller ratings. We recommend checking if the company selling the 3D printer is reliable, thanks to user ratings for sellers which are translated into a percentage of positive reviews. 3D print quality is intricately linked to layer thickness. This is the minimum height of each successive layer that forms the 3D printed object. The thinner the layers, the less we can distinguish them and the smoother the object will be. This is comparable to screen resolution: with a higher resolution, individual pixels are not as visible as with a low resolution. With our 3D printers comparison engine it is possible to compare different 3D printers side-by-side to see which ones have a better minimum layer thickness. The typical layer thickness for mid-range or entry-level 3D printers is 100 microns, or 0.1 millimeters. However, thinner layers means more layers, which means more 3D print time. If a quick prototype or object is required, settings can be changed to 3D print thicker layers. 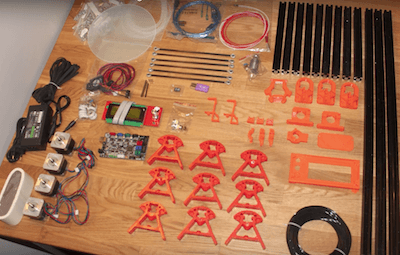 Screenshot of unassembled parts from “Kossel Delta Build Part 1: Unboxing” video by Techish. 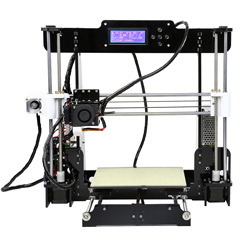 DIY 3D printer are delivered as kits to be assembled by the user. Depending on the product, this may be time-consuming but DIY kits are great for learning more about how a 3D printer works. Some DIY kits may be a bit tough for beginners. It is important to follow the assembly instructions by the book, as one misplaced bolt may throw off the 3D print quality. Preassembled 3D printers are suitable for those who do not have the time nor patience to build a 3D printer from a DIY kit. Closed frame or open frame? External interferences such as temperature or dust can reduce 3D print quality, or even ruin a 3D print altogether. Closed frame 3D printers have the benefit of protecting the 3D printing process from these interferences. They also reduce the melted plastic smell produced by the filament extrusion. 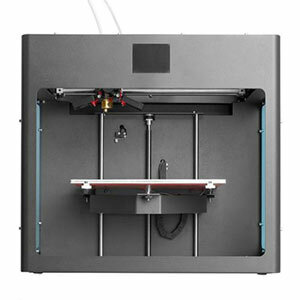 Open framed 3D printers enable the user to get an unobstructed view of the 3D printing process, but are often a bit noisier than closed frame printers. It is not that we don’t recommend getting a 3D printer that is not well-known, but help and advice can be found on forums or groups if a certain 3D printer has enough users. It is possible to take a look at the best general 3D printing communities to see if a model is at the center of a large community of users or not. The build volume is the maximum size of a 3D printed object on a specific 3D printer. This specification is important, especially if larger 3D prints are required for specific projects. Smaller build volumes are fine for those who just wish to experiment with 3D printing. If a very large build size is needed, we also have a list of the best large volume 3D printers. In order to get good 3D prints, the print bed must be well-leveled to provide a flat surface. Some 3D printers offer automated bed leveling, but a lot of others require manual calibration (which can be tricky and time-consuming). Automatic leveling is recommended but not mandatory. On a budget? Take a look at our article on the best 3D printers under $300. These 3D printers are the best on Amazon, but are they the best overall? See our list of the best 3D printers on the market in 2019. If you need to compare a few 3D printers before making a decision, our 3D printers comparison engine is a useful tool.